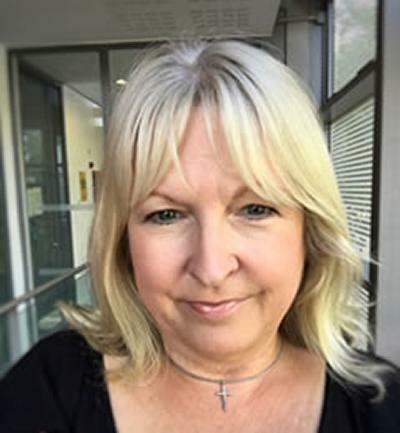 Professor Janice Griffiths is a Professorial Fellow in Education, Director of Enterprise and Director of the Mathematics and Science Learning Centre within Southampton Education School. Professional development for teachers is key in developing inspiring teaching and learning. At Southampton, we believe in providing opportunities for teachers to access and use research from STEM subjects and STEM education to bring science and mathematics alive in the classroom. We work with colleagues across the University to translate our world class research into practical approaches and resources for teaching. Janice is currently Director of Enterprise for the Education School, overseeing and supporting enterprise activities in Initial Teacher Education, professional development and developing enterprise activities to exploit the impact of research. She sits on the Faculty of Social Sciences Enterprise and CPD strategy working groups and on the Social Impact Advisory Group. Janice has a PhD in pharmacology from the University of Wales College of Medicine, Cardiff. She moved to the USA to work in drug metabolism, specialising in pharmacokinetics and drug analysis for Abbott Laboratories located near Chicago, and won a President's Award for work on a bioavailability study. On her return to the UK, she worked in business development for a University-based clinical trials and bioanalytical services company. Janice re-trained as a teacher and has a PGCE and MA(Ed) in science education from the University of Southampton. After five years teaching chemistry in an outstanding school in Winchester, she moved to the Science Learning Centre South East in 2006, becoming Director in 2008 and continues in the same role for the Mathematics and Science Learning Centre. One of the original nine founding members of the National Science Learning Centre Network led by Professor Sir John Holman, the Centre was and is responsible for delivering major national education programmes and initiatives to improve STEM teaching, including the Stimulating Physics Network (Institute of Physics), Chemistry for Non-Specialists (Royal Society of Chemistry), Science Enhancement Programme (Gatsby), Getting Practical (Consortium led by the Association for Science Education), Teacher Subject Specialism Training (NCTL), Primary Science Teaching Trust projects (PSTT), and a range of related national and regional programmes. She is a member of the Southern Region Association for Science Education Committee, has served on ASE Council and is currently part of the Education Group, advising Trustees on educational matters. Her current interests focus on professional development in science and mathematics, science in society, career progression in STEM and science education generally. She is a Director of the innovative LifeLab project which addresses how science education underpins health literacy in children. Learning and teaching in informal learning settings. Christodoulou, A., Griffiths, J., Stevens, C., Gray, S., & Denley, P. (2015). Primary teachers’ experiences of engaging in professional development to develop science inquiry skills across the curriculum. Paper presented at European Science Education Research Association (ESERA), Finland.